The Tanglewood TU 7 XSPL Cove Creek Concert Ukulele offers both an eye-catching appearance and a bright singing ukulele voice within the comfortable concert size. The TU 7 XSPL Cove Creek features a body crafted entirely from spalt maple that delivers a bright attack, clarity, excellent note definition and a strong dynamic. In addition, the Cove Creek has a concert body, which produces a rich, clear sound and enables players to perform more technical skills due to its extended range, whilst still maintaining classic ukulele tone. Its spalt maple body also provides a stunning aesthetic, complemented by black binding to make the beautiful grain patterns stand out further. With a natural gloss finish, intricate Cove Creek headstock and contrasting chrome hardware, the Tanglewood TU 7 XSPL Cove Creek Ukulele offers an eye-catching appearance with a sonically pleasing tone to match. The Tanglewood TU 7 XSPL Cove Creek features a body constructed entirely from spalt maple, offering an eye-catching and unique appearance, as well as an incredibly lightweight ukulele. Spalt maple produces a resonant and well-balanced sound with great sustain. 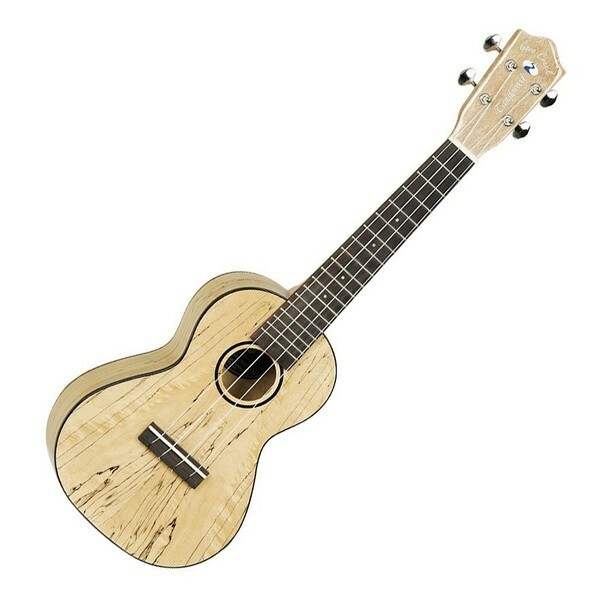 Overall players receive a unique toned ukulele with a distinct tone that is well suited to a range of playing styles. Constructed from mahogany, the Cove Creek's neck delivers a resonant warmth that responds greatly to numerous playing techniques with ease. The neck is topped with a rosewood fingerboard that adds a sonic warmth to the overall sound, as well as offering players a smooth and energetic playing experience. For added beauty, the fingerboard is sprinkled with white dot inlays. The Tanglewood Cove Creek features a concert body, which produces rich and clear sound suitable for numerous styles of play. In addition, the TU 7 XSPL also features 20 frets and has become the choice of preference for ukulele soloists due to its extended range. The concert shape enables players to perform more technical skills, whilst maintaining classic ukulele tone. In addition, the concert shape is slightly larger than standard soprano size and provides more volume due to more room for sound to vibrate around the body.